Good Morning to my friend Susan! She just made my blog her homepage! 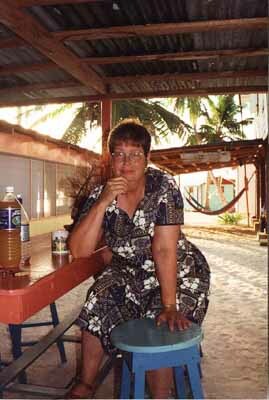 This is one of my fav places - Tobacco Caye in Belize. When we were there, she almost bought this little place and if she had, I would have been writing a completely different blog, one about sunshine and warmth and snorkeling and other tropical activities! Newer PostIs George W. Bush a Psychopath?